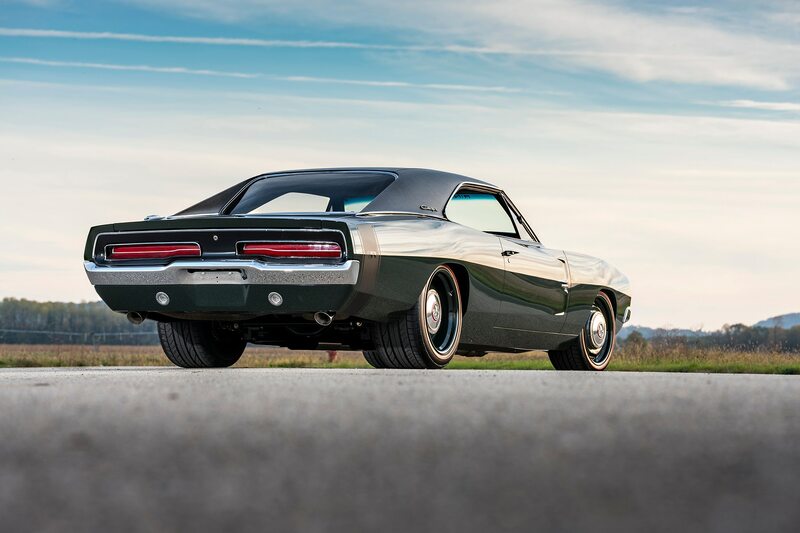 Less is definitely more for this modified muscle car. 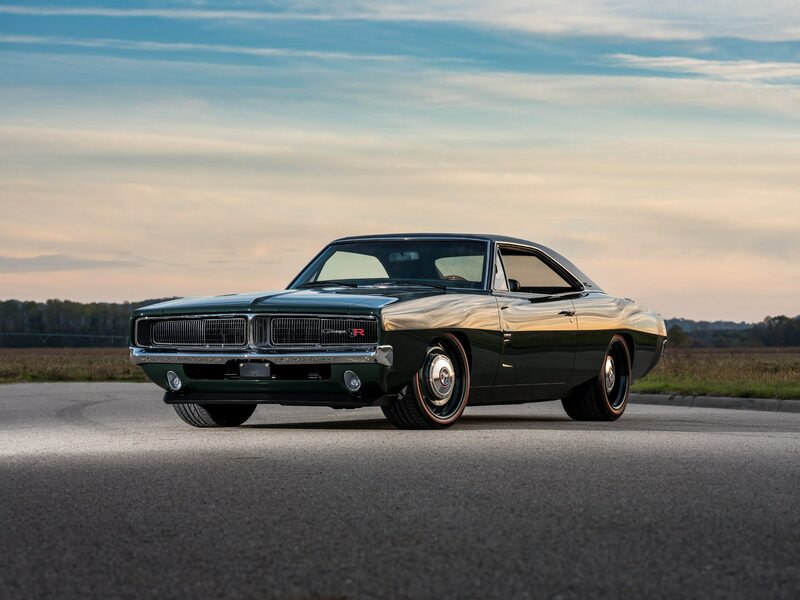 Ringbrothers revealed an extensively modified 1969 Dodge Charger named the Defector this week at the 2017 SEMA show in Las Vegas. 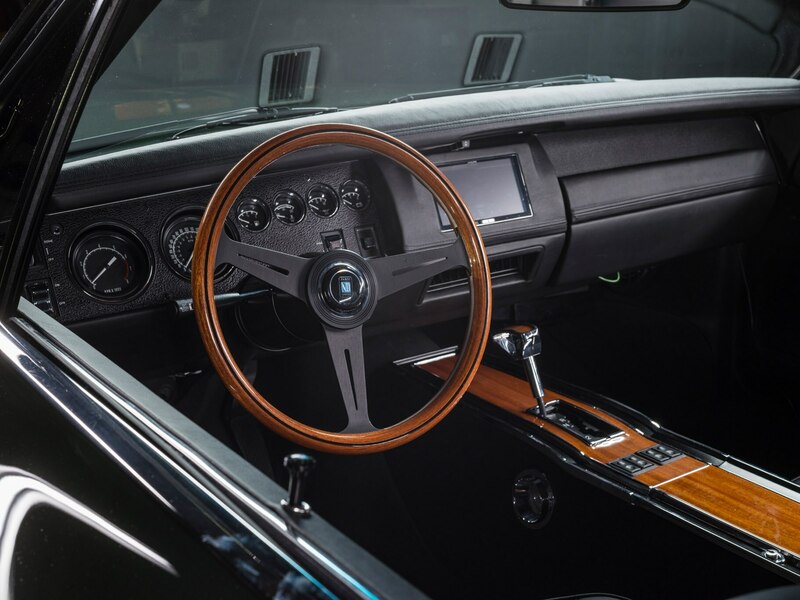 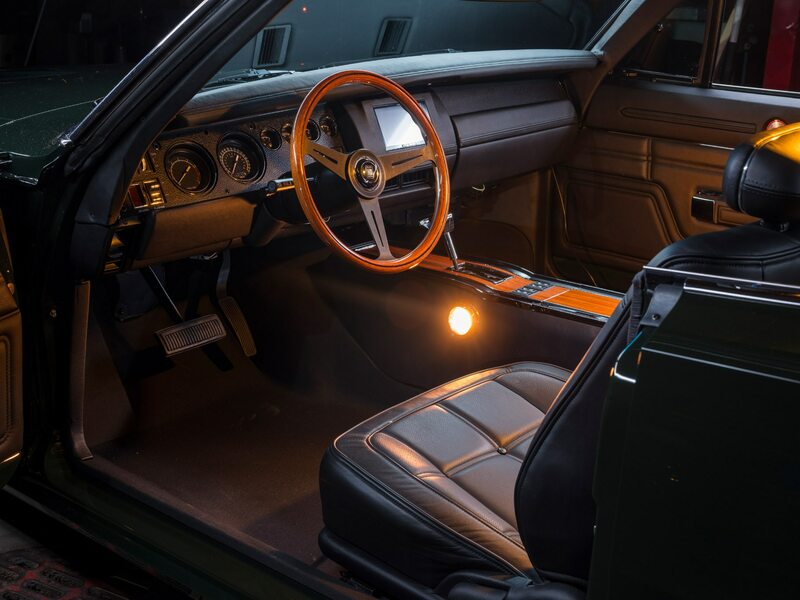 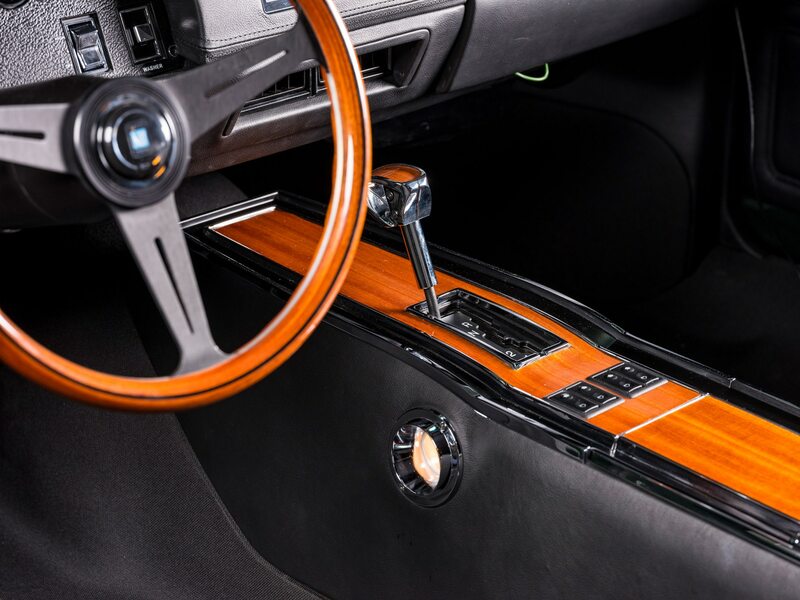 While it isn’t as “excruciatingly cool” as the 1972 AMC Javelin AMX we fell in love with while we were there, we really like the subtle exterior enhancements of this slick looking ride. 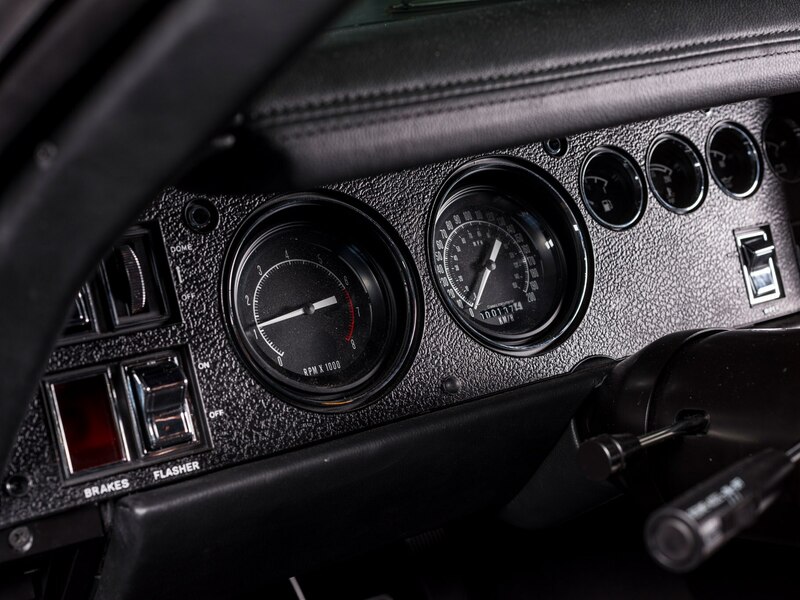 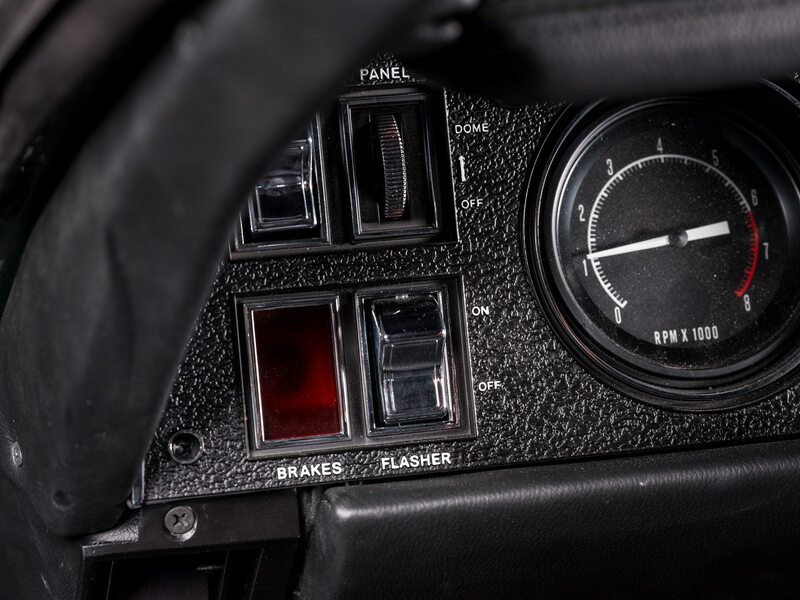 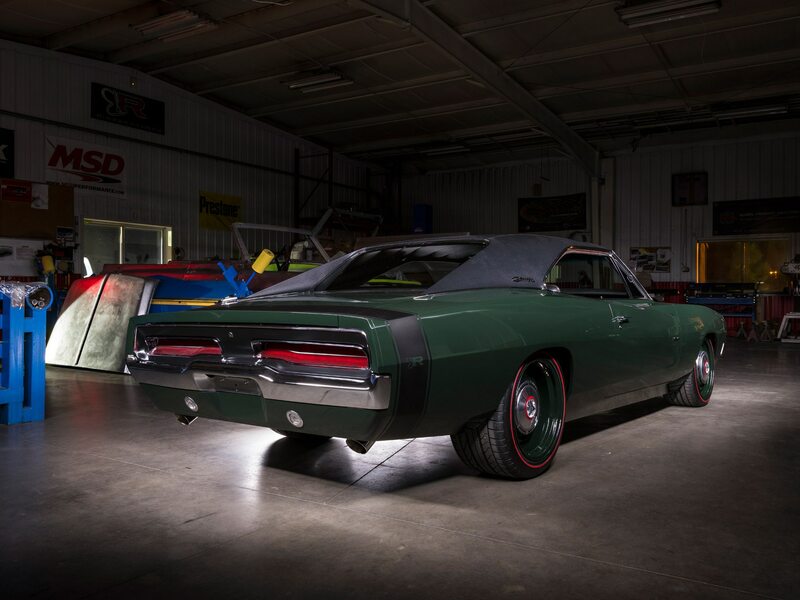 Jim and Mike Ring estimate that over 4,700 hours were devoted to the build and the biggest modifications involved the muscle car’s rear. 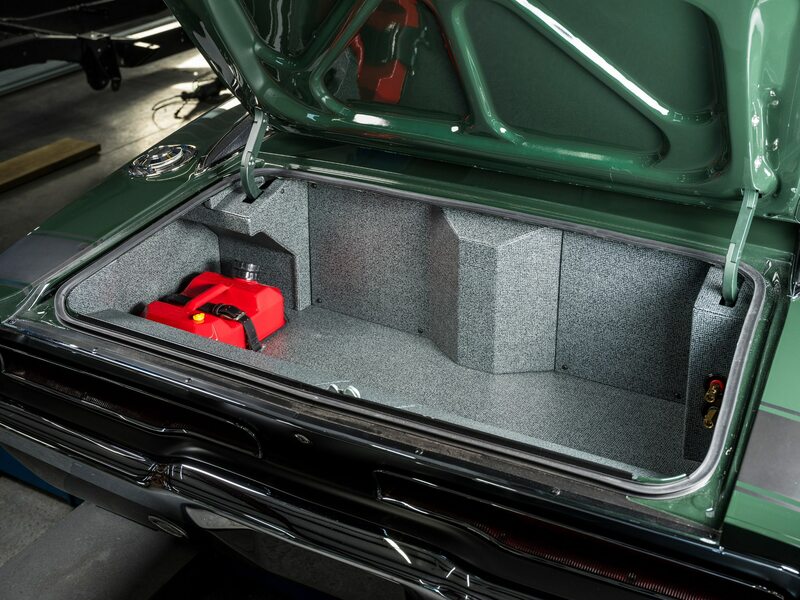 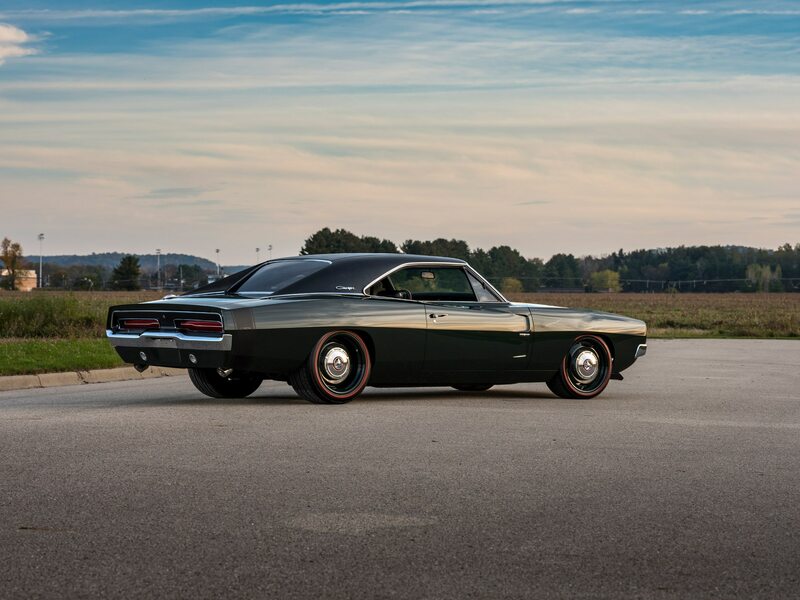 The brothers shortened the Charger by two inches through the trunk and extended the wheelbase by three inches. 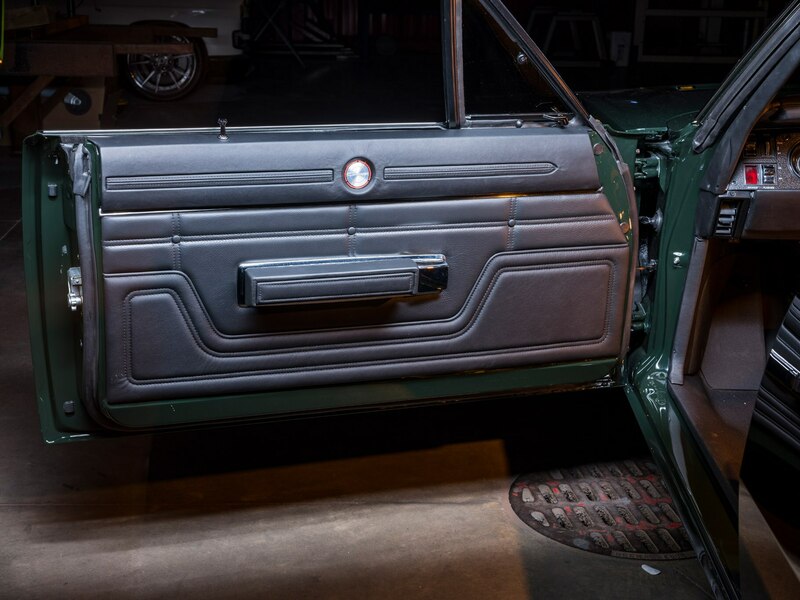 Side rockers were stretched and the quarter panels were lowered and extended. 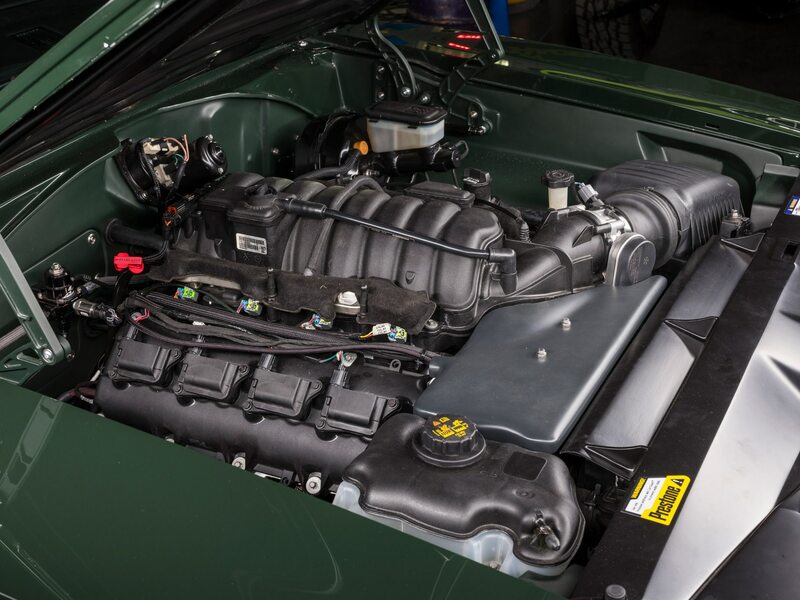 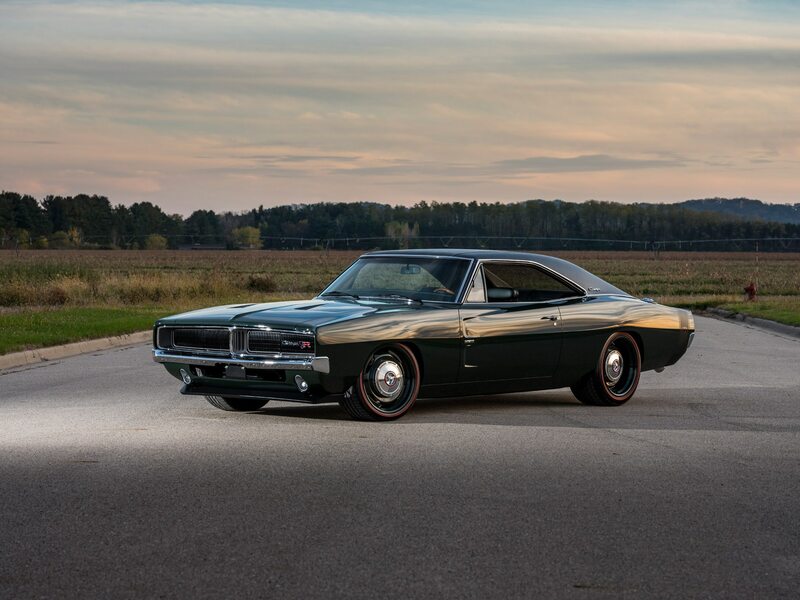 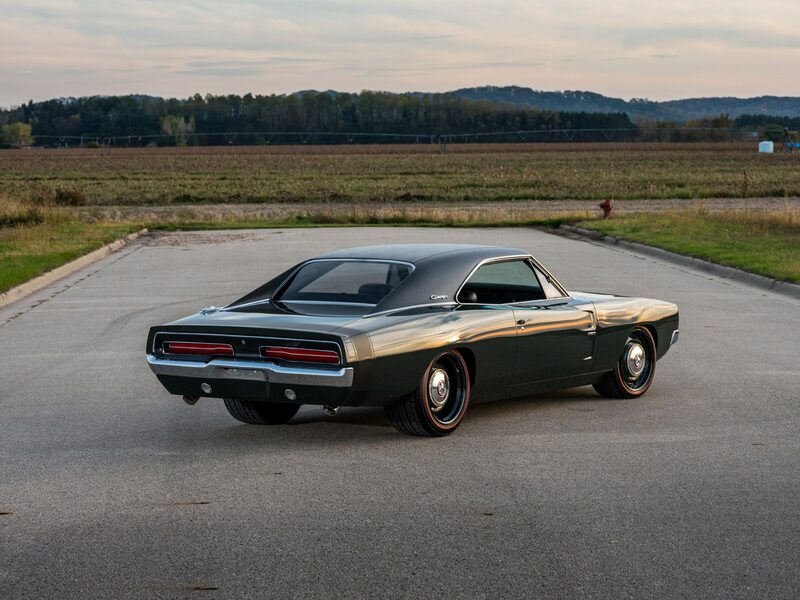 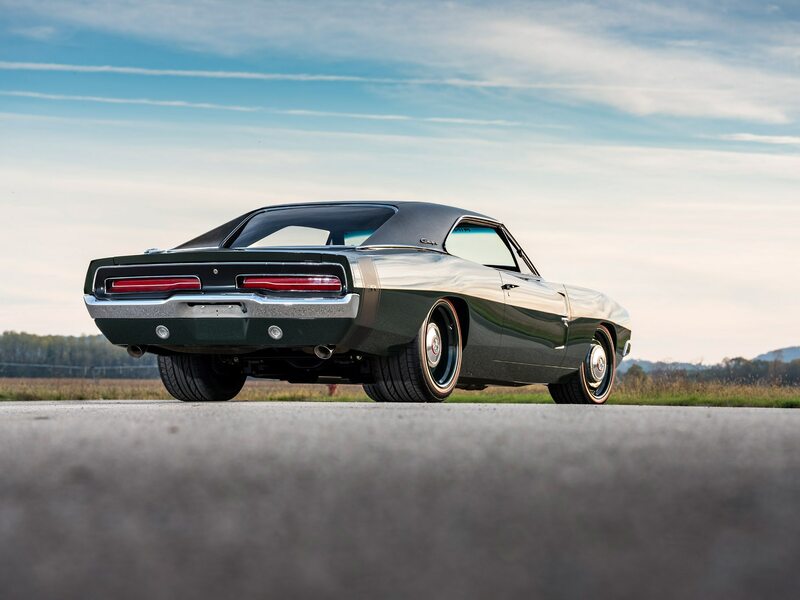 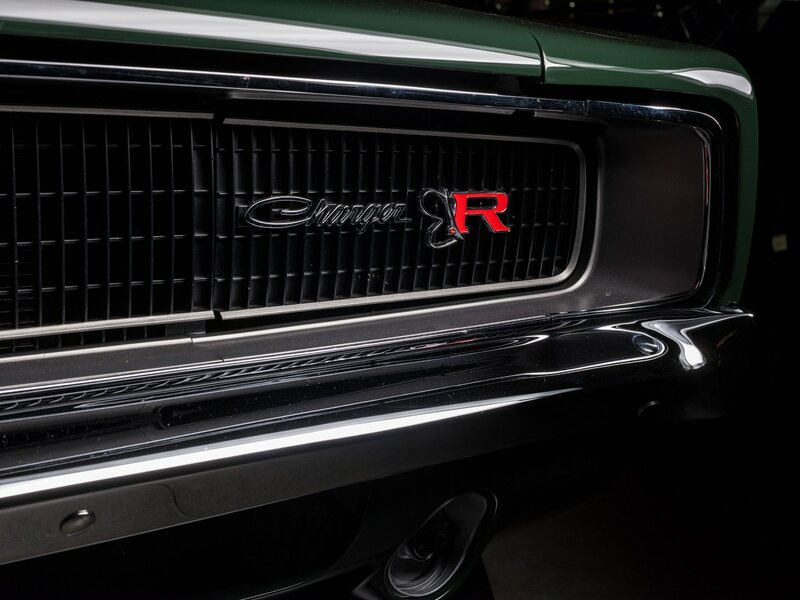 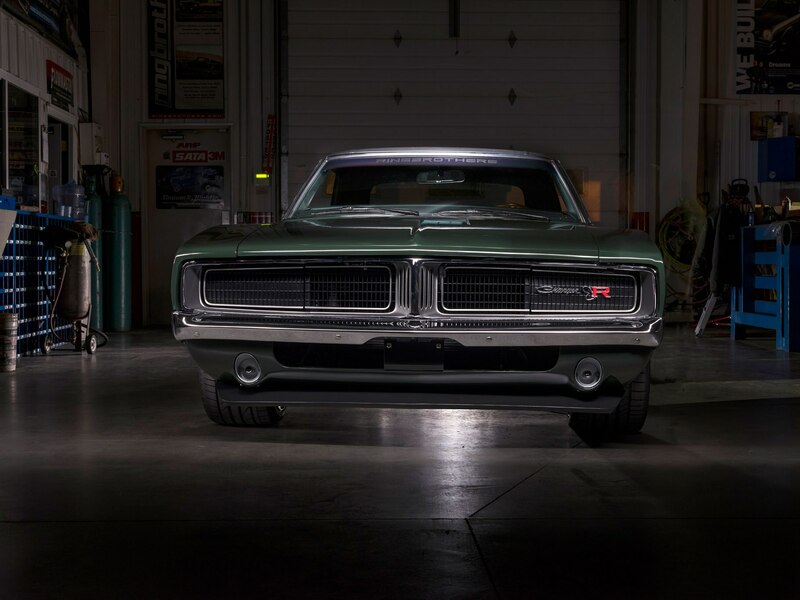 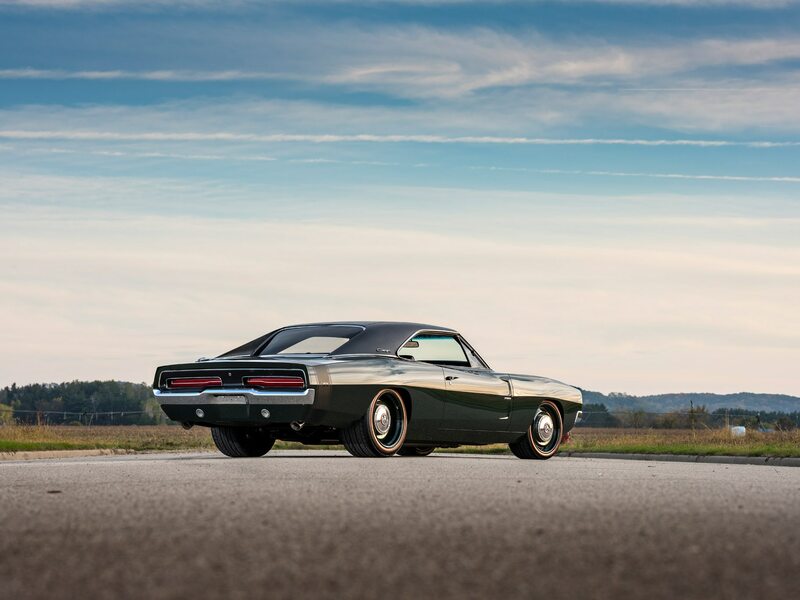 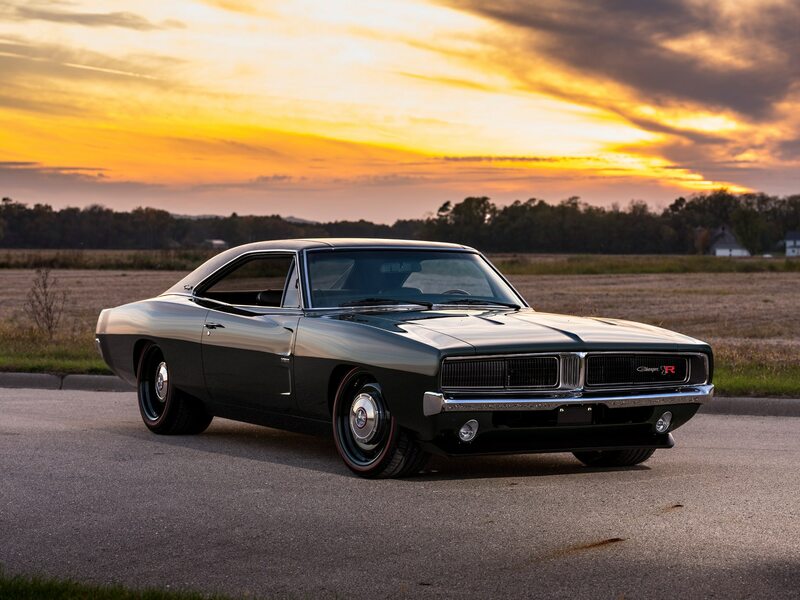 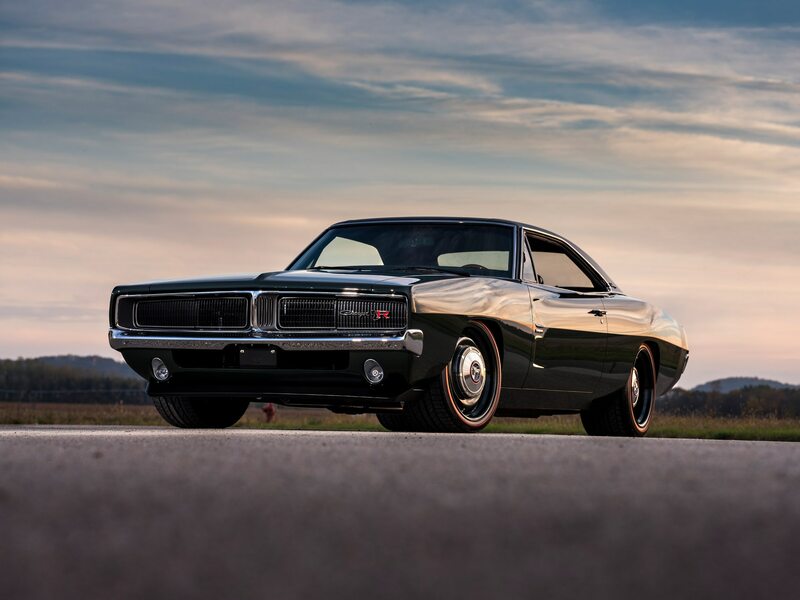 This classic Charger received a deep coat of forest green paint by BASF that they like to call “Greener On The Other Side” and a fresh black vinyl hardtop. 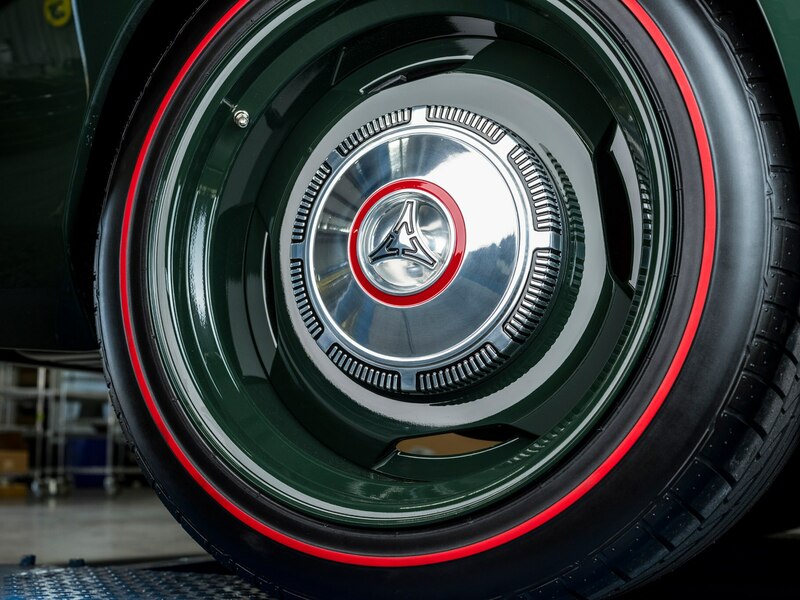 Advanced Plating tackled all of the chrome work. 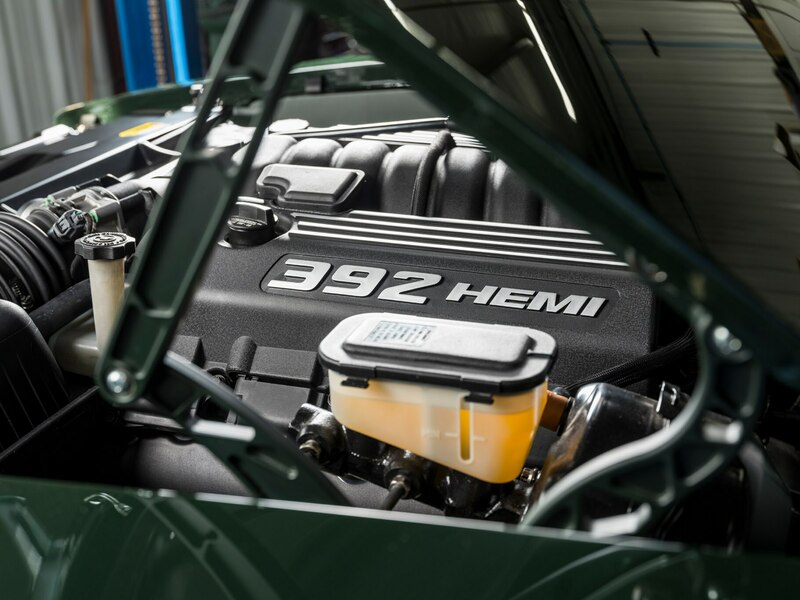 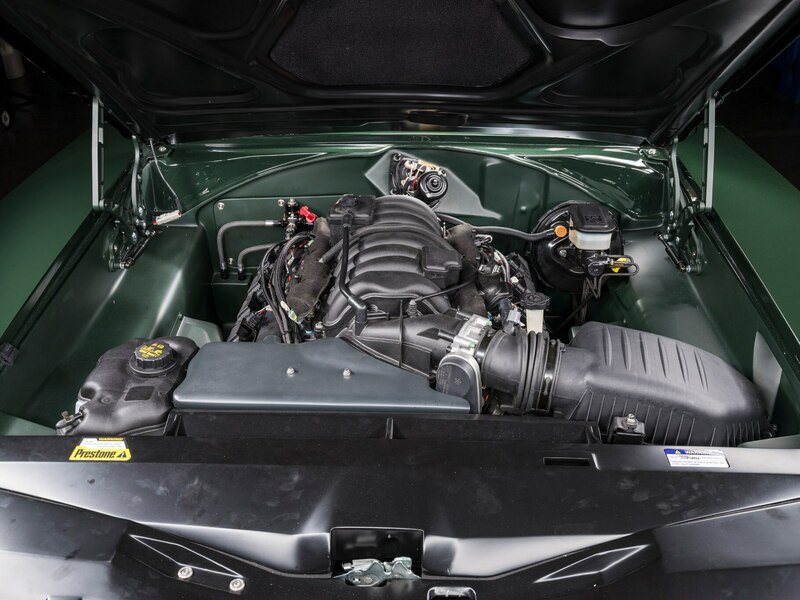 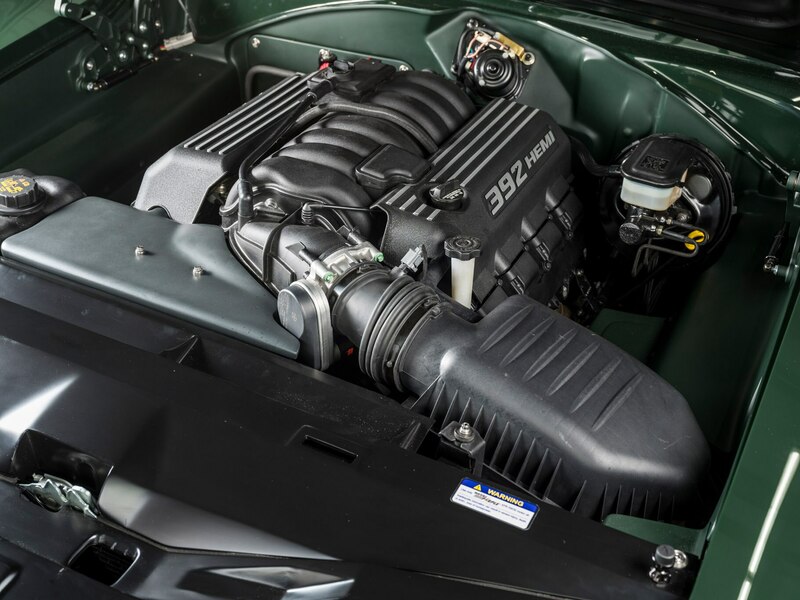 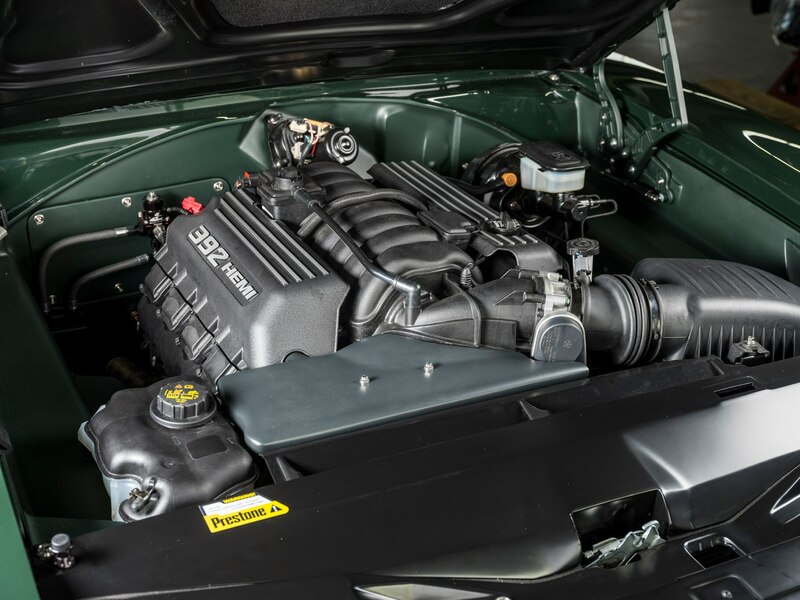 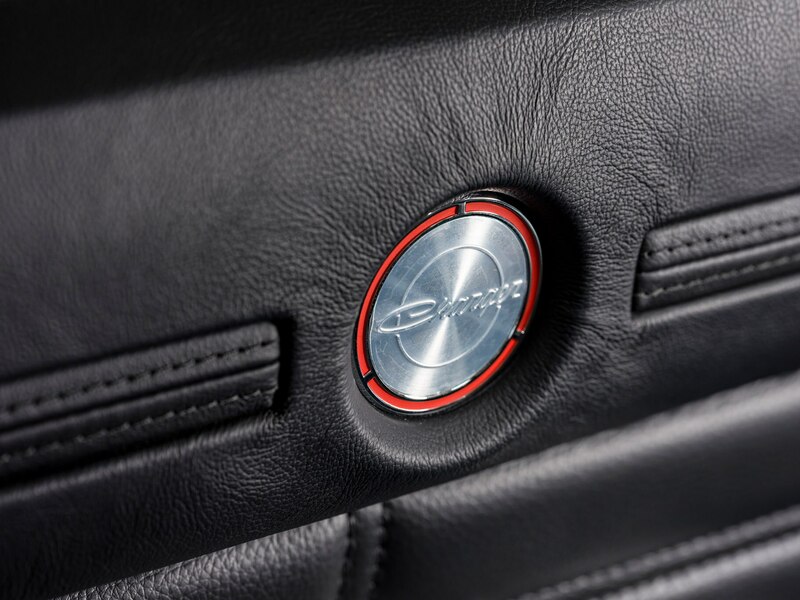 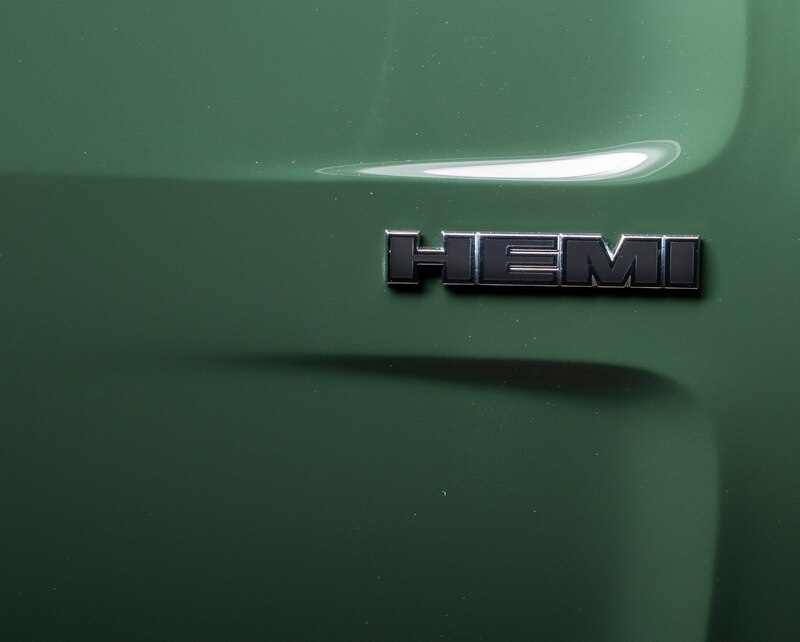 Under the hood, a beefy 6.4-liter Hemi engine from Wegner resides. 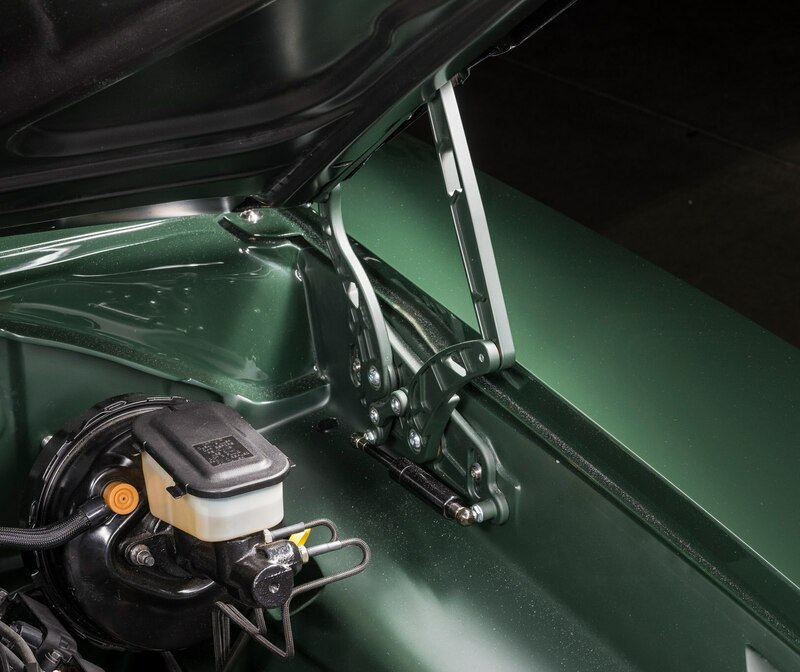 A Detroit Speed Hydroformed Subframe sits below the body with rack and pinion steering, front sway bars, and four-link rear suspension. 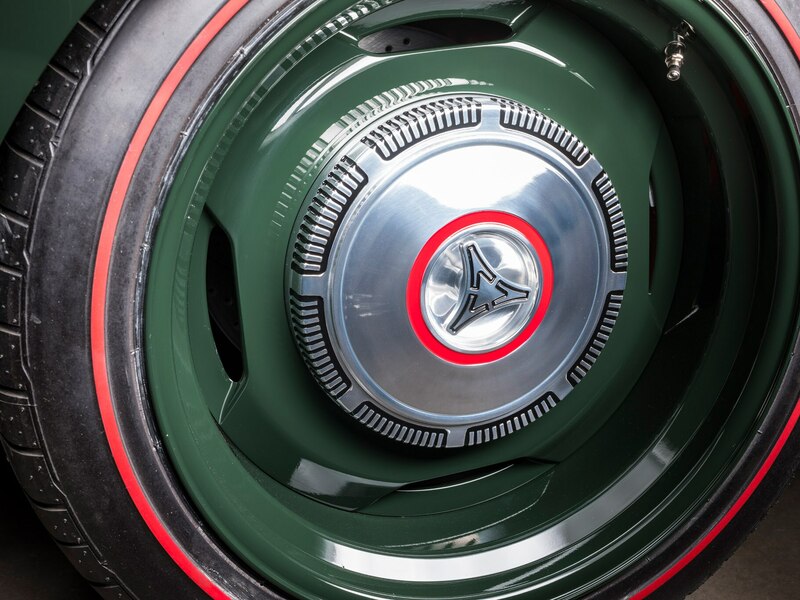 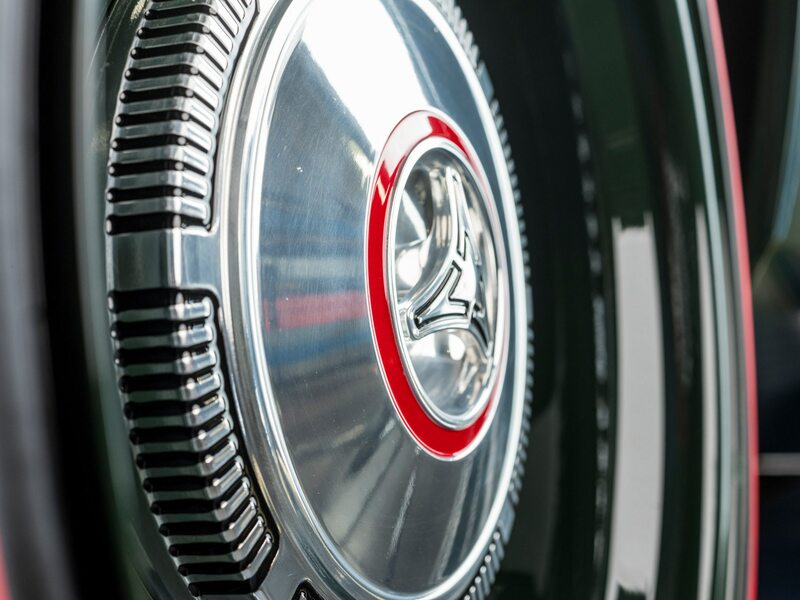 The Defector rolls on 19-inch red line Michelins with custom hubcaps. 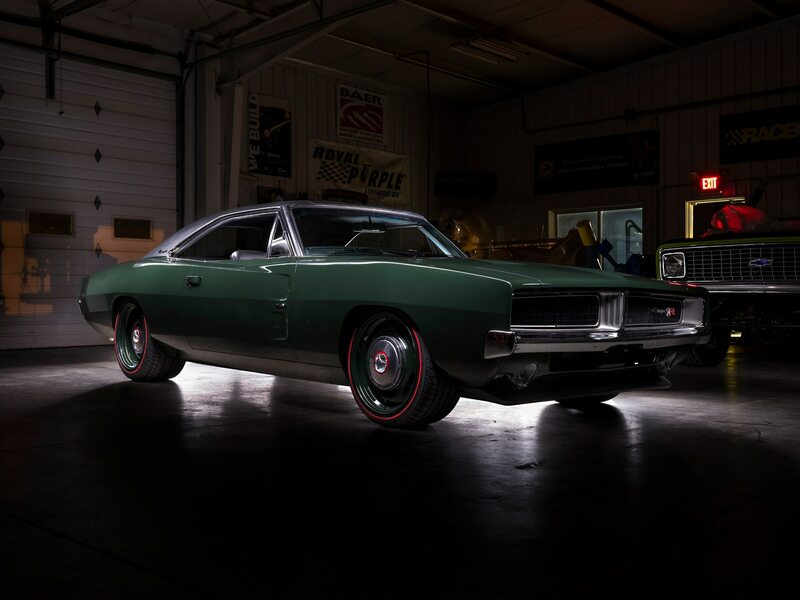 Six-piston Baer brakes, Flowmaster headers, and exhaust were also added. 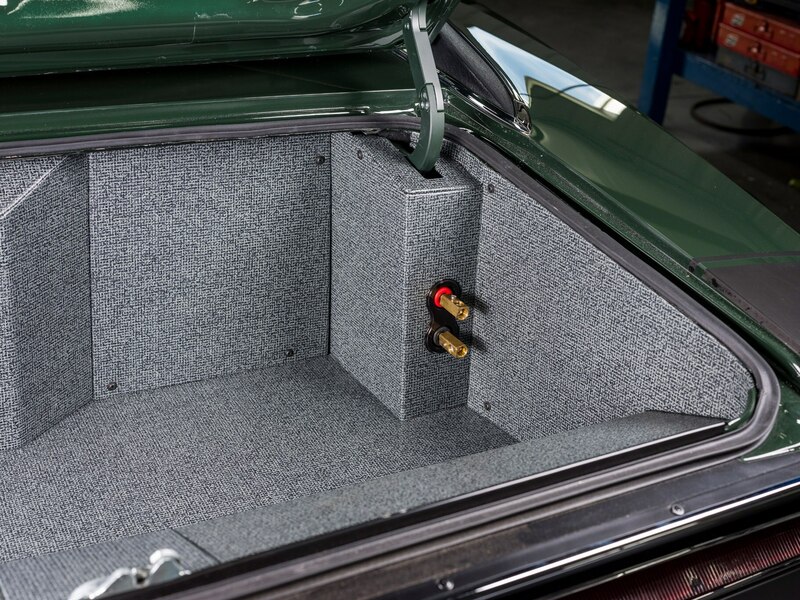 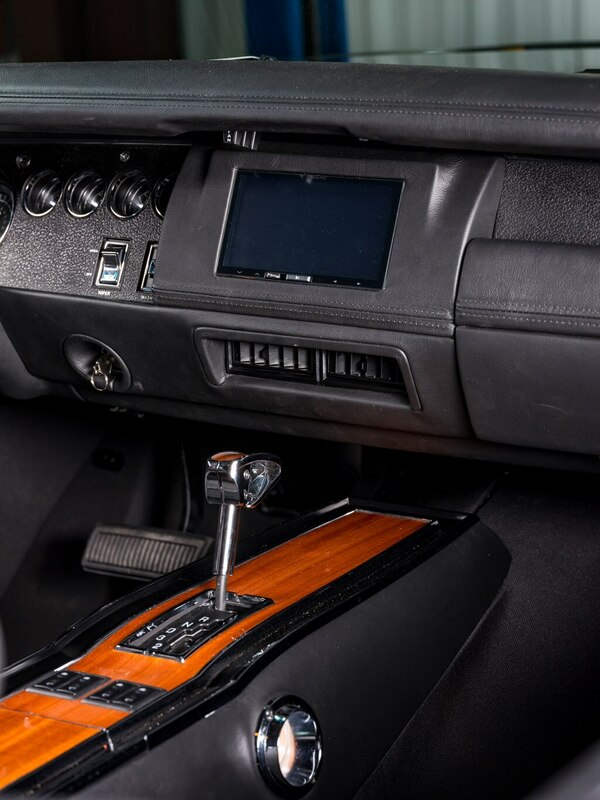 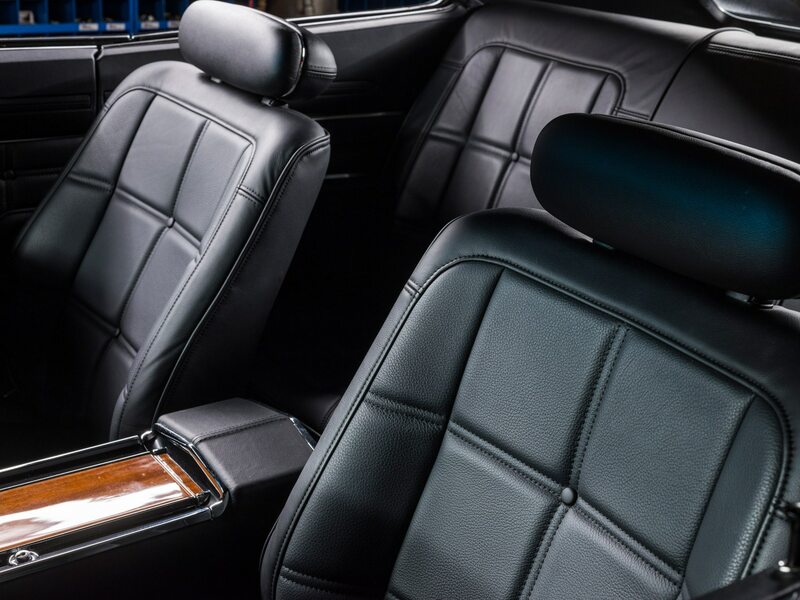 Inside the two-door gets upgraded front seats by Upholstery Unlimited, new wood trim, modern gauges, and an Alpine sound system. 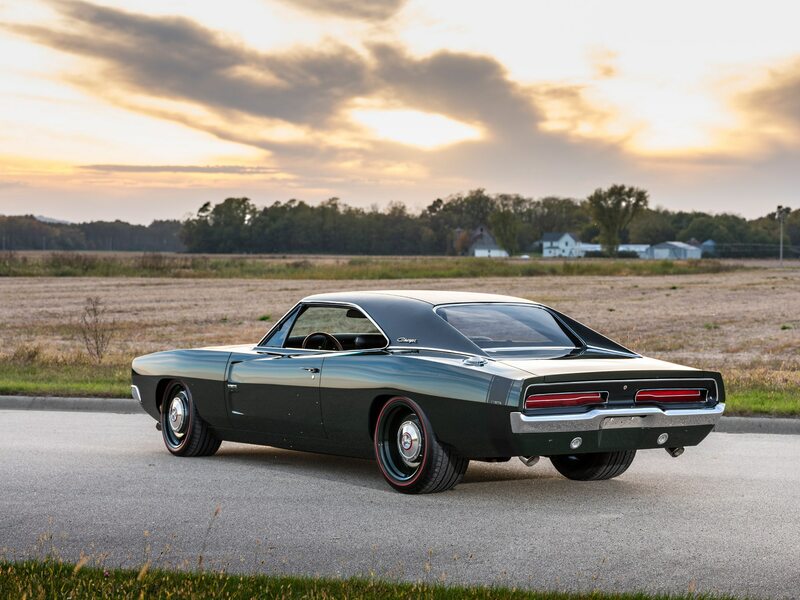 Nice work bros.